The Egyptian army has overthrown President Mohamed Morsi, announcing a roadmap for the country’s political future that will be implemented by a national reconciliation committee. According to a senior member of the Muslim Brotherhood, Morsi is being held in a military facility with top aides. 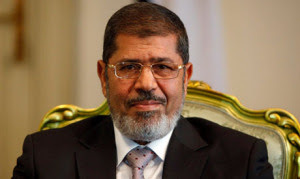 "Morsi and the entire presidential team are under house arrest in the Presidential Republican Guards Club," Gehad El-Haddad, the son of a top Morsi aide, told AFP news agency on Thursday. Haddad's father, Essam El-Haddad, widely seen as Morsi's right-hand man, was among those held, he added.